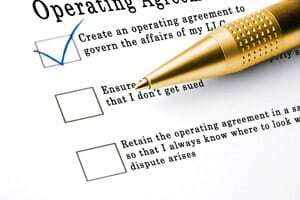 An operating agreement is a set of documents which provides the rules and guidelines for the operation of a limited liability company. Many states require an LLC to have an operating agreement, which contains information like the structure, management, rights, powers, and interests. The operating agreement helps to prove the business is separate from the person and is the most important part in maintaining legal protection. Most importantly, the operating agreement acts as just that, an agreement between members for the operation of the company.